Here is some footage of the travelling PSG fans who are making themselves heard ahead of their teams Champions League clash with Manchester United at Old Trafford tonight. 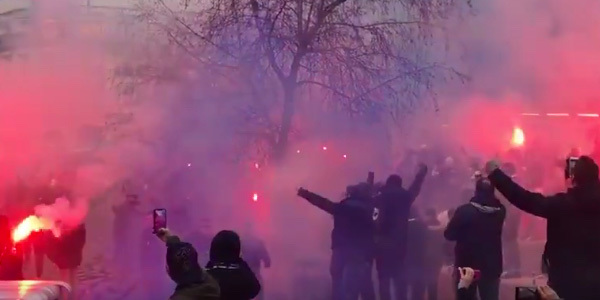 The travelling French contingent are in full voice, setting off flares and fireworks which is being reported can be heard all across Manchester City centre. PSG fans are now boarding the trams to Old Trafford. Huge numbers of fans are trying to board @MCRMetrolink.